With spring upon us, you might be starting to feel the itch to go camping. While camping can be a fun adventure or a much-needed getaway, it is also essential to take a few steps to keep yourself safe while camping. Before you head out on your camping trip, you will want to gather plenty of water and food to take with you. To prevent contamination, be sure to pack the food in tight, waterproof bags or containers within an insulated cooler. Before preparing the food, wash your hands thoroughly. If water is not available, use hand sanitizer. Throughout the trip, be sure to keep raw foods separate from cooked foods and to chill foods promptly after you are done with them. Not only are wild animals dangerous in terms of potential attacks, but some also carry diseases. Therefore, you should avoid touching, feeding or otherwise getting near to wild animals. You should also keep your food in sealed containers and out of reach of animals in order to avoid attracting them to your campsite. When disposing of trash at a campground where bears are known to inhabit, be sure to place the trash in a bear-resistant enclosure. This will help prevent bears from wandering on to your campsite. Ticks, mosquitoes and other insects can cause more than discomfort with their bites, as some carry potentially serious diseases. To prevent bites, apply an insect repellent containing DEET to exposed skin. Check yourself and your pets for ticks each day and remove them right away. You can also help to prevent bites by wearing pants, long sleeves and light-colored clothing, which will help you to spot ticks more easily. Temperature, sun and other weather-related illnesses can be avoided by taking a few precautions. To prevent hypothermia from developing during cool nights, bring plenty of bedding as well as clothes that can be layered to suit the current conditions. You should also use a plastic ground clothe under your tent in order to keep yourself dry. To prevent heat-related illnesses, drink plenty of sugar-free and alcohol-free fluids. Drink throughout the day rather than waiting until you feel thirsty to drink. Wear light-colored, loose-fitting and light-weight clothing while in the sun and take frequent breaks in the shade. Also, keep in mind that harmful ultraviolet (UV) radiation can still reach you on cloudy and hazy days. To protect yourself from the sun, use a broad-spectrum sunscreen and lipscreen with at least SPF 15. Wearing sunglasses and a wide-brimmed hat will also help to protect you from UV rays. 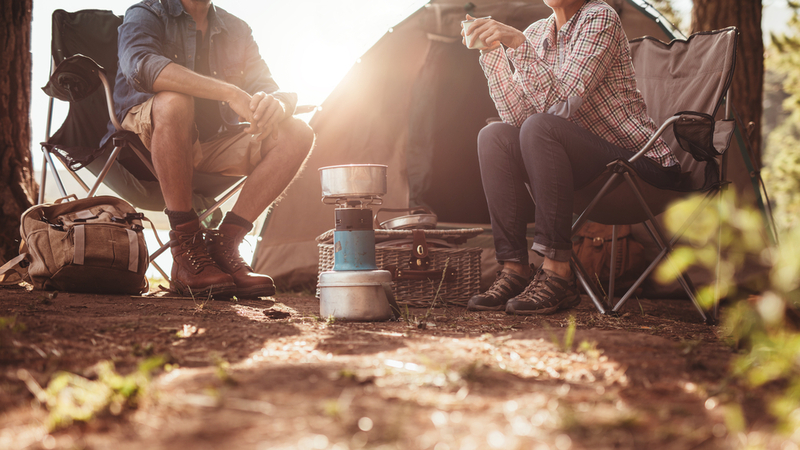 While on a camping trip, you may use fuel-burning equipment such as lanterns, gas stoves, heaters and charcoal grills. While these are helpful items to use, they should never be used inside a camper, tent or other enclosed shelter. Doing so could allow dangerous levels of carbon monoxide, which is an odorless and colorless gas, to build up. Exposure to carbon monoxide can cause illness or even death.